Transparency in accounting is the backbone of any business. At DNS Accountants we know to what extent accounting can influence the industry’s position in the market. This is also one of the major reasons why, since 2005, we have served nearly more than 1200 clients by helping them with their tax planning, accounts and business consultancy. Being able to provide successful business plans and tax plans for the companies, we have been able to create a name for ourselves in the market. Thanks to our team of highly qualified professionals, we have been able to provide the best contractor accountants in Greenford, Bromley, Harrow, and Maidstone along with many other places in the United Kingdom. Our team members at DNS Accountants have built a strong reputation for themselves and are handpicked by us. 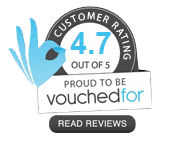 Our staff members, accountants, and consultants have had several years of expertise in the field and have high accreditations to their name. All our members have certifications from some of the leading professional accounting bodies like the ICPA, FCSA and the Chartered Institute of Management Accountants (CIMA). All the rules and regulations that need to be followed mandatorily when planning the taxes and also while maintaining the accounts are adhered to by DNA Associates. We believe that saving up money for the company is an important target,and we ensure that we leave no stones unturned while we fulfill the same. Our company saves you from facing any penalty or issues that result because of improper accounts and tax plans. The timely help from the tax accountants in Greenford and quick services have been beneficial to several businesses as well as individuals. The largest suburb of West London, Greenford is located close to Charing Cross in Central London. Being located close to Central London, Greenford is strategically located in proximity to most of the important business centers in London like Ealing and Hillingdon. Greenford is said to be the place where the modern organic chemical industry was born. It is said that the world’s first aniline dye was invented in 1856 here in William Perkin’s Chemical factory. After the First World War, the tea blending and food manufacturing company, J. Lyons and Co., set up their factory over here in a move to expand their business and they are the biggest employer in Greenford till date.After the merger with Allied Bakeries in the 1980s, the company is now known as the Lyon Way Industrial Estate. For education, Greenford has few primary schools and secondary schools like Ravenor Primary School, Horsenden Primary School, William Perkin Church of England High School and The Cardinal Wiseman School. The rail routes, buses, and the tube connect Greenford to nearly all of the important commercial and industrial places in all around London. The Greenford station is one of the most accessible stations in Greenford along with South Greenford Railway Station. Along with all the financial management and checking for accounting, our chartered accountants in Greenford can help the companies with accounting and finance planning. Right from preparing detailed financial reports till meticulously filling the accounts, we provide companies with industry trusted advisors who would be helpful in making sure that all the finances are maintained properly. Their dedication speaks for itself in each of their action, and they prepareall financial reports timely that are required to be submitted to the relevant authorities. Filling taxes at the end of each fiscal year and planning the expenses and incomes properly for filling the reports is essential for every company. Our tax accountants in Greenford have been helping out nearly most of the companies in Greenford right from entrepreneurs, acquisitions, disposals, start-ups and also to some of the small accountants in Greenford. The professionals at DNS Accountants have been helping the companies to minimize their liabilities and plan their taxes well within the required time. Both the personal and the company’s accounts are kept in track and sync is created between the two. This ensures that balance is set up on all levels and also avoids the damage that is done to the company when things get diversified. In this, the tax that the person has to pay would be deducted from the savings, pension or the salary that he receives. For people who have other businesses would have to report this while they file their tax returns with the Government. The amount that needs to be paid as the tax would be calculated based on the financial report that is submitted by the company or the individual. The limit of payment depends on upon the income bands that have been given by the Income Tax Department. 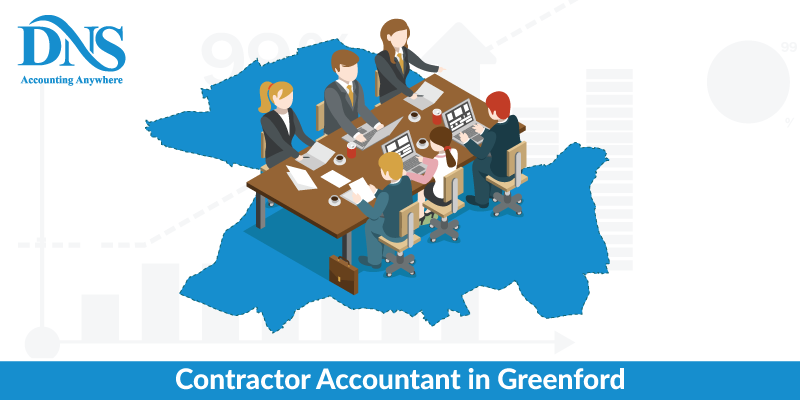 Being able to offer services ofonline contractor accountants Greenford, DNS Accountants has been able to provide personal and company based accounting guidance to everyone who requires it. Apart from Greenford, we have been able to extend our comprehensive range of accounting and taxation services to several places like Wembley, Northolt, and Southall. We have managed to expand our clientele and been making sure that everyone is given the best quality tax planning and accounting guidance when they need it. Our trusted advisors have been able to provide legal and efficient work plans and development strategies for the companies, thereby helping them to grow in their field.